When NetGalley gave me the opportunity to read an advanced copy of Elizabeth Berg’s latest novel, Night of Miracles, which is scheduled to be released this November, I didn’t realize that it was a follow up to her previous novel, The Story of Arthur Truluv. I worried that I would be lost or feel as if I were missing something but the fact that I haven’t yet read the earlier novel (but I absolutely will!) didn’t hinder my enjoyment of Night of Miracles in the least. Berg is one of my most beloved authors almost immediately I found that Night of Miracles was a bit different in tone than many of Berg’s other novels that I have read (which is most of them). Reading the heart-warming story of the interconnected citizens of Mason, Missouri as they face their own struggles while trying to be good neighbors, friends, parents, and teachers often felt more like a Fannie Flagg novel. Perhaps this was due to the small town midwest setting or the complex quirkiness of the characters – especially Lucille – but the qualities I love most about reading Berg’s novels was there too. Along with her completely real characters, one of the things I admire most about Berg’s writing is her unique attention to detail and way of expressing the beauty of the everyday ordinary things and that quality abounds in Night of Miracles from a starry night sky to breadcrumbs on a windowsill. At its heart, this story of the characters’ individual struggles – be it Lucille’s coming to terms with her age, the changing world, and her lost love or Iris’s quest for forgiveness and happiness after losing hope of ever having the one thing she’s always wanted or Abby, Jason and Link’s journey through an unexpected illness or Tiny and Monica’s quest of love through miscommunications and missed opportunities – is a story of love. While each of the characters gets through their trials with their own strength, it is only with the help of their friends and neighbors that they are able to get out of their own way. Mason, Missouri serves as a compressed view of our world and shows the power of love and neighborliness in a time when those qualities aren’t always evident. Elizabeth Berg’s Night of Miracles is for anyone who needs a heartwarming read with a sense of humor or could use a helping hand to see the beauty in the little things when the big picture looks so grim. If you enjoy Night of Miracles, I recommend reading Fannie Flagg’s Elmwood Springs series. And if you’ve never read any of Elizabeth Berg’s novels, my favorites are Open House and Joy School. Check out My 2016 Year in Books on Goodreads! I read 278 words per minute according to this test (the third time I took it), which is 11% faster than the national average. This may explain why it takes me so long between blog posts. Or I could just have scored low because I was taking the test at work. 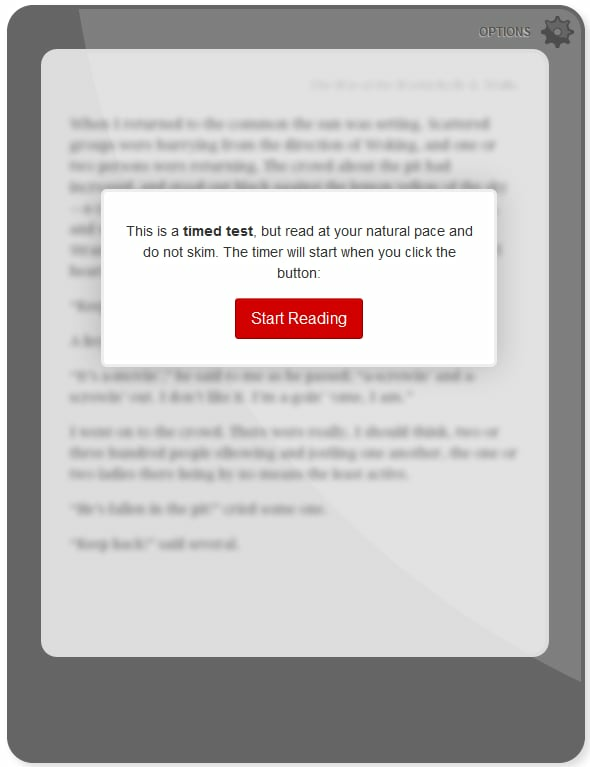 See how fast you read and how long it would take you to read some of the most classic books. Books, as well as filling the recesses of every shelf and table top in my home, fill my heart and my mind. I am passionate about the power of the written word and I’m not shy about sharing that passion. Which is just about the only thing I’m not shy about. So I’m going to be sharing my reading experiences with you. Let me start with one of the books I’m currently reading (I’m always reading at least two books at any given time). 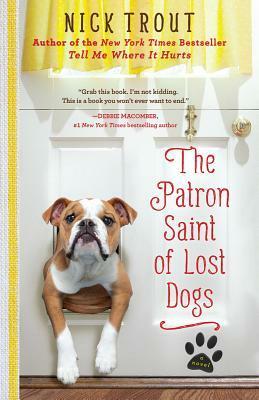 I started Nick Trout’s novel, The Patron Saint of Lost Dogs, a few days ago. I’ll admit I’m a little worried. I’m not much of a crier. I don’t like to cry and not many books have made me cry but there is one thing sure to choke me up – a touching pet story. It doesn’t matter whether it’s heartwarming or heartbreaking, tears always spring into my eyes when I hear or read a story of the unconditional love between an animal and its person. That’s why I have yet to get up the nerve to watch or read Old Yeller or Marley and Me. I can barely get through an episode of Dogs 101 without feeling that tell-tale tightness in my throat. And already in my reading of The Patron Saint of Lost Dogs, I got choked up when Cyrus Mills, the veterinary pathologist turned reluctant clinician at the center of the novel visits an elderly pet owner. The older man talks about how very much his lab mix (a female named Clint, after Clint Eastwood, of course) has meant to him as old age and infirmity take hold of his life. And here comes the lump in my throat. Thankfully, the heart wrenching is countered with what is turning out to be a delightful cast of quirky, small-town characters. I’m looking forward to finding out what happens next. As long as there aren’t too many tears along the way.